With a degree from the Gemological Institute of America and over two decades of experience in the jewelry industry, Kyle Chan has a well-trained eye for selecting the highest-quality precious and semi-precious stones. Each Kyle Chan design features a gemstone picked by the artist himself and expertly crafted into a gold or silver handmade pendant necklace in his Los Angeles studio. 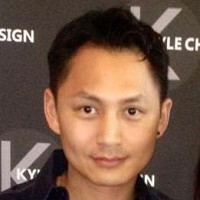 Kyle Chan jewelry is at once both modern and classic. Elegant, yet understated, these artisanal pendants are a timeless gift for any occasion. 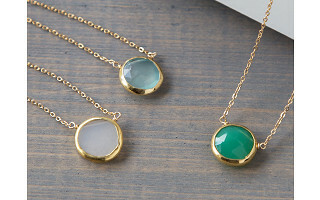 Delicate bezel pendant necklaces set with semi-precious gemstones. 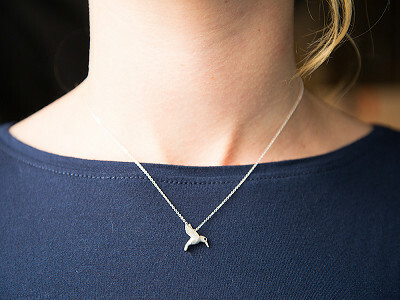 These delicate hummingbird pendants come to life thanks to two sparkling black diamond eyes. 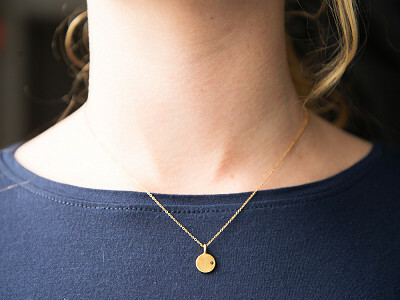 Delicate gold circle pendant with a single black diamond. 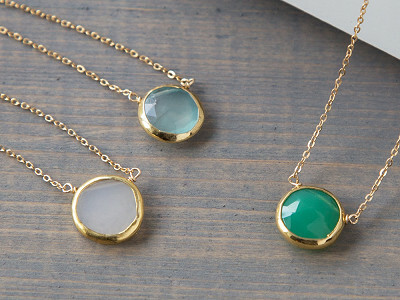 This green moss aquamarine necklace is hand-wrapped with 14 karat gold-filled wires. With a degree from the Gemological Institute of America and over two decades of experience in the jewelry industry, Kyle Chan has a well-trained eye for selecting the highest-quality precious and semi-precious stones. 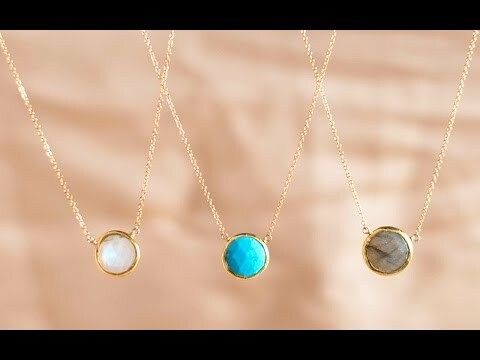 Each Kyle Chan design features a gemstone picked by the artist himself and expertly crafted into a gold or silver handmade pendant necklace in his Los Angeles studio.